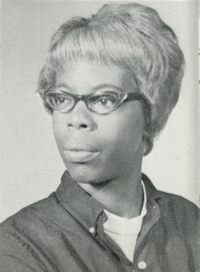 Obituary – Woods, Clarece (Sears) « Perry High School Alumni Association, Inc.
Clarece Sears-Woods, age 65, formerly of Fresno, CA passed away in Roseville, CA on Thursday, January 23, 2014. She was an Exam Technicial at the IRS for 35 years. Clarece and Orlan J Woods were married on May 31, 1974 in San Bernardino, CA.